View our creative products magazine online and download these paper-craft projects. Are you interesting in reselling doodey products in your shop? Order these products online in our Wholesale webshop. To inspire you making beautiful cards with Doodey products, we show you about 1494 handmade cards in several categories. 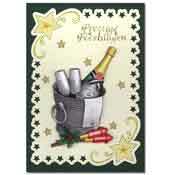 We also show you the products you will need to create these cards. A new way to inform you about our products and card making techniques. Here you will vind several video's.